Welcome,! in this article we’re going to talk about some of the top Web Design Mistakes you need to avoid. As you use the internet, you probably notice that some websites just aren’t attractive. While quality web design isn’t difficult, many website owners fail to achieve it. It’s important to create a website that is user friendly. After all, you want to keep visitors coming back. A poorly designed site will quickly drive visitors away. 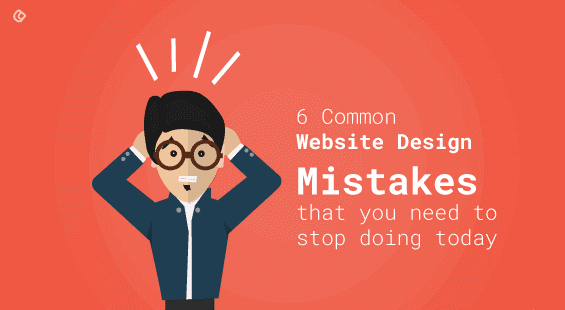 To ensure you design your website the right way, here is a look at some of the top website design mistakes you need to avoid. One of the biggest mistakes to avoid when designing your website is providing poor navigation. If visitors are unable to get around your site easily, they probably will simply leave and find another website. Good navigation can actually keep visitors on your website longer. While you want to keep navigation simple, it needs to be very effective as well. Go with navigation that is user friendly, since it can actually make or break your site. Don’t make visitors wonder where they’ve landed. Each page on your site should clearly show visitors that they are on your website. This is especially important when visitors land on pages without first coming to your home page. Make sure every page links back to your home pages as well. Very long scrolling pages are another big mistake to avoid when working on web design. Most users aren’t going to want to keep scrolling unless they really think there is something good below. It’s a good idea to split up pages if you can. If splitting the page won’t work, make sure you have navigation and content options at the top of the page to make it easy to navigate through the long page. People today don’t have a lot of patience. They want to get the information needed quickly. This means that slow download times are going to be costly. If your website takes a long time to load, most visitors will simply leave and find another website that meets their needs. This means that you need to focus on fast download times when working on your site’s website design. This can be done by reducing image file sizes and by limiting the number of images used on each page of your site. Visitors don’t come to your site to see the ads. While ads offer you a great way to earn money, they can be distracting to visitors. Using ads is fine, but make sure you concentrate your designing efforts on the content of the site, not on the ads. Make sure you have a good balance between your content and the ads you include on your pages. Last, failing to update information is another big web design mistake you must avoid. Visitors don’t like seeing information that is already outdated on your website. This means you need to review and modify your website regularly to avoid giving people information that is outdated. Creating an appealing website is important. By avoiding these common web design mistakes, you can make sure you create an excellent website that is easy for visitors to use and enjoy.